Christian Bookmobile: COTT Unpublished Clash Winner Announced! The first five hundred words of any story are usually enough to clue us is as to the author's style, the tone the book will take, and whether or not the story will hold our interest. It's those five hundred from two different unpublished novels that Clash of the Titles presented to you last week. In addition to a hearty welcome to the COTT family, as announced yesterday, Nancy was invited by Astraea Press to submit a complete proposal for immediate review. Maybe one day very soon, we'll see Chasing the Lion come back to Clash of the Titles to compete as a published novel! *The first excerpt really grabbed my attention- especially since it stirred my emotions... and my love of mystery. *What was the answer his mother gave that caused this strong boy to run away? Very well done! * Who's the dad?!?! I'm hanging off a cliff wondering! For as long as Jonathan Tarquinius can remember, everyone has wanted something from him. His brothers want him dead. His master’s wife wants his innocence. The gladiator dealers want him to fight, and die, for their greed. The humble slave girl who tends the wounds on his body and the hidden ones on his soul yearns for him to return to his faith in God. God wants something from Jonathan, too. Something more than anyone could ever imagine. What Jonathan wants is simple—freedom. The young warrior’s journey will push him to the very limits of human endurance and teach him the only true freedom is found in Christ. The greatest battle Jonathan ever fights will not come in the arena, but deep within himself, when he is forced to choose between vengeance and forgiveness, knowing the fate of all he holds dear hangs in the balance. Monday, March 5, COTT will see the start of yet another unpublished clash. This one however, carries the theme of speculative fiction, a newer genre that's taken the market by storm. 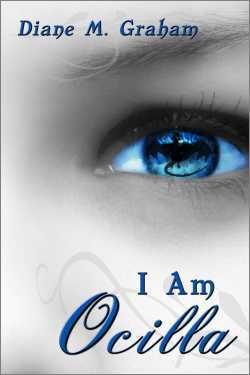 Come on by for another opportunity to vote and win a copy of previous COTT Champ Diane M Graham's new novel, I Am Ocilla!